Out-of-control healthcare costs are a board-level issue for virtually every U.S. organization. Costs continue to climb each year, with no end in sight. And employees are feeling it, too, paying more out of their pockets for higher premiums. But there's a silver lining to this dark cloud. Seventy-five percent of healthcare costs are attributable too often preventable and highly manageable chronic diseases, such as heart disease, type 2 diabetes, and some forms of cancer. Forward-thinking organizations across the U.S. are taking action to control these costs and they're focusing on prevention as one of the best strategies to counter the trend. This approach, coupled with supportive social communities like the workplace, is helping organizations make real strides in improving employee health and productivity, lowering healthcare costs, and creating healthy cultures in the workplace. This June, leading organizations will participate in the fourth annual National Employee Wellness Month -- an annual initiative that provides business leaders with fresh ideas and proven strategies around prevention and wellness. Together, participating organizations will raise awareness about the importance of prevention and good health, and highlight the powerful role the workplace can play in helping to improve workforce health and improve business results. National Employee Wellness Month provides a great opportunity for your organization to promote all the great employee health and wellness programs you may have in place. Use the month as an opportunity to spark renewed employee interest and participation, and promote good health across your workforce. Host a company-wide National Employee Wellness Month kick-off event on Friday, June 1. And consider promoting some of these simple, healthy events throughout the month. Walk at Lunch - Encourage your employees to take a true lunch break. Let them know it's a great opportunity to get some physical activity and recharge so they're mentally prepared for the second half of the day. Hang a map of the area and paths around the office conducive for walking or exercise during lunch breaks. Distribute maps with suggested routes and mileage. Or share sites like www.mapmywalk.com and www.walkjogrun.net with your employees so they can easily find paths and track their distance. Take the Stairs, Ditch the Elevators - Post signs at the elevator and encourage your employees to take the stairs instead of the elevators. Post interesting notes in the stairwells that provide helpful tips and encouragement, like how many stairs they've climbed, average calories burned, keep going - you're almost there, etc. Park Far Away Day - Get some competition going for the farthest spot in the lot. Encourage employees to park a little farther away each day and offer a prize to the employee who walks the farthest. Moving Meetings - Get your employees up and moving throughout the day. Encourage them to hit the pavement during their regularly scheduled meetings and walk instead of sitting around a conference table (when it's feasible). Encourage employees to set a new health and wellness goal for the month of June. For instance, can inactive employees set a goal to walk for 15 minutes a day? Can the more active members of your staff step-up their existing levels of physical activity? Are there easy 5K runs scheduled for the fall in your area? Position the month of June as an ideal time to begin training for these events. Send weekly wellness tips to your employees via email or your intranets and give them some simple ideas to engage in healthier lifestyles. Tips might include getting more daily sleep, relaxation techniques, drinking more water, getting more physical activity, and eating healthier. Encourages your employees to get up once an hour to take a quick stretch break and walk a bit. Swap unhealthy foods in the cafeteria for healthier options. Offer healthy snacks in the break rooms. 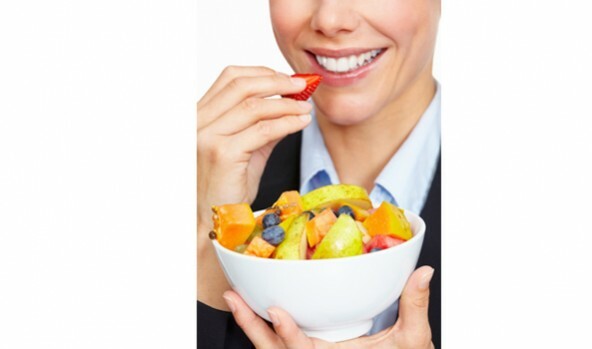 Provide fruit, veggies, nuts, etc., and share healthy recipe ideas to employees. Create a contest and encourage employees to submit healthy recipes and have employees vote on the tastiest ones at the end of the month. Let your employees to wear their sneakers/running shoes to work for the month (and remember: most employees take their cues from their supervisors, so make sure senior management is similarly attired!). Investigate what local charity walks or races are taking place in your area during the month of June. Create and sponsor corporate teams for select events, consider creating T-shirts for participants, and take pictures of your team participating in the event to share with your workforce and local media. Hold a series of "healthy brown bag lunches" with guest speakers on fitness, nutrition and healthy living. Invite health enthusiasts or those with wellness success stories from your company to share their experiences with the audience. Solicit your employees' ideas to create the official "activity playlist" for your company - a mix of upbeat and motivational tunes. Share the playlist with your employees. For more insights, resources and workplace wellness best practices and success stories, visit www.nationalemployeewellnessmonth.com. And remember: small lifestyle changes - like getting more activity, eating healthier, and avoiding tobacco - can an add up to big differences, including healthier employees and lower healthcare costs. Jennifer Turgiss is VP, health management for Virgin HealthMiles (www.virginhealthmiles.com). She leads the company's health and fitness policy and evidence, and has 20 years' experience in senior management roles at national and international health and fitness businesses. Turgiss has developed and implemented fitness and weight management programs for all ages.